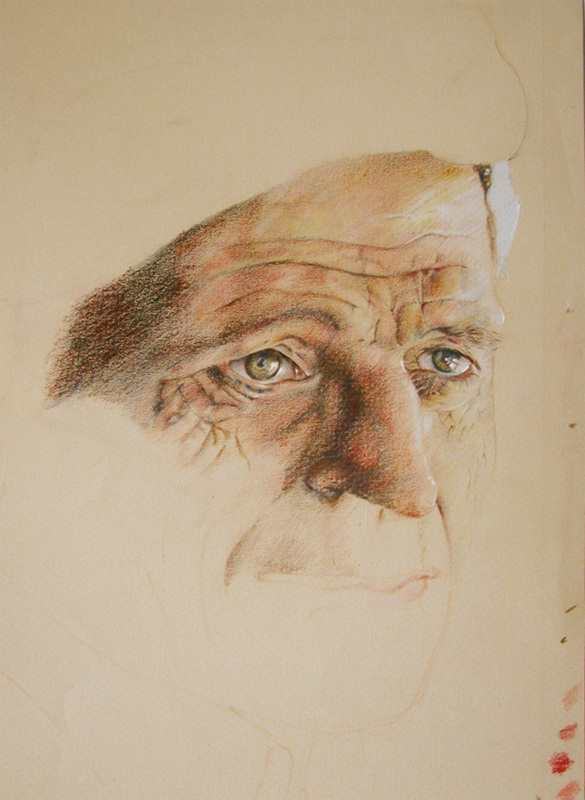 A colored pencil sketch I began and never completed. It was probably because I found his eye’s the most interesting. The reference is from a photograph. If I ever find it i might be motivated to complete what I started. 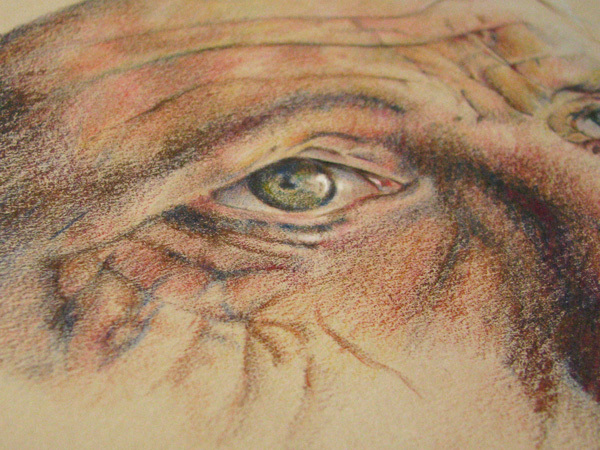 The hardest and most interesting aspect of color pencils are combining and “mixing” them to create new colors.